Departmental store chain Matahari and The Walt Disney Company South Asia have partnered to bring customers Disney-brands shopping experiences and exclusive product lines. The partnership extends to across Matahari’s stores nationwide. The collaboration debuts with a “Minnie Rocks the Dots” campaign, which sees a range of Minnie-inspired products being launched. The campaign also involves in-store promotions and chances to meet Minnie Mouse during various special appearances in Jakarta and Surabaya. The partnership is also centred on other brands such as Disney, Marvel and Star Wars. On top of fashion, home and toy products, specially-designed branded retail corners will also be available to encourage engagement with Disney fans, the press statement read. According to Christian Kurnia, merchandising, marketing and store operation director of PT Matahari Department Store Tbk, the collaboration represents Matahari’s commitment to provide more exciting shopping experiences. Through the campaign, the store aims to collaborate with Disney as one of its partners to indulge its customers by featuring well-known characters in Indonesia for the whole family. “Disney stories and characters resonate with consumers of all ages. This collaboration with Matahari brings Indonesian families a little closer to their favorite Disney, Marvel and Star Wars stories every day. 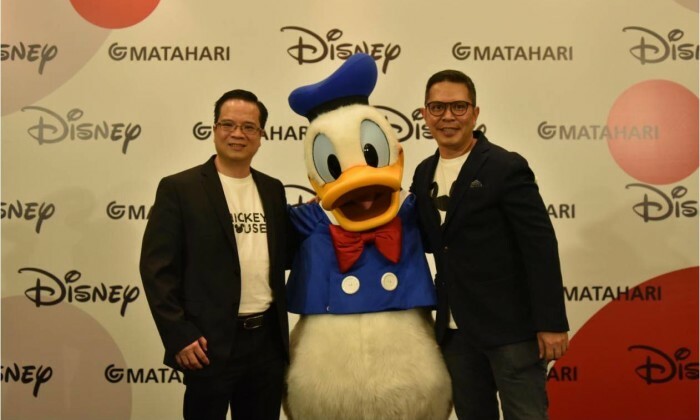 We are excited to work with Matahari, as we continue to build connections with Indonesian fans across this vibrant country,” Herry Salim, country manager, The Walt Disney Company Indonesia, added. Marketing has reached out to Matahari for additional comment. Grey India hires Louella Rebello, Outbrain brings on more publishers in India, BBDO Indonesia wins Nippon Paint business plus more..
SIA is working with Twitter, ahead of the launch of the Premium Economy flight to Sydney. .. The three new brands will be used to customise current offerings and manage conflicts. Find out more here. ..